Oppo A3s with dual cameras, notch display launched at Rs 10,990: Should you buy? Shortly after launching premium Find X smartphone in India for Rs 59,990, Oppo is now turning its attention to the budget-conscious shoppers in the country with A3s smartphone. Read all about the new phone here. Oppo Find X launch in India on Thursday has put the company under the spotlight, but it's not settling for that. After making its presence strongly felt in the premium sector, it is now after the budget smartphone category with the launch of its all-new A3s smartphone. Unlike previous budget-friendly smartphones by Oppo, the A3s makes an unwavering stand against its rivals in India. Oppo brings the latest features onboard its A3s without charging a lot. Oppo A3s will be available on Flipkart, Amazon and Paytm and in offline stores starting July 15. It won't be hard to make a winning argument with the A3s as it is priced at Rs 10,990, and offers compelling features such as full-screen display, dual cameras, long-lasting battery and AI-powered selfie camera. Oppo A3s features a 6.2-inch "Super Full Screen" display with 19:9 aspect ratio, 88.8 percent screen-to-body ratio and a notch. The next major USP of the A3s is the dual camera setup, which the company claims is the first for Oppo in the South Asian market. The dual cameras combine 13MP and 2MP sensors with LED flash and help create a shallow depth effect. Oppo A3s is also categorised as a "selfie expert" and it is justified by an 8MP front-facing snapper with AI Beauty Technology to get natural selfies. In addition to that, Oppo A3s focuses mainly on the battery front, and packs a powerful 4,230mAh battery. While we can count on the A3s for long-lasting battery life, the lack of fast-charging makes it tedious to wait while the phone charges. But we cannot demand much from the phone that's already priced on the lower end. Other features of the phone include an octa-core Qualcomm Snapdragon 450 chipset, 2GB RAM, 16GB expandable storage, 4G VoLTE support, a 3.5mm headphone jack and dual SIM card slots. In case you are wondering, there is no fingerprint scanner on the phone, but it has a fast face unlocking feature to quickly unlock the device with a glance. With all that, there's an interesting feature in the A3s that connects multiple smartphones running ColorOS 5.1 or higher via hotspot to play the same track. The feature is called "Music Party" and it can help you create a surround sound effect without any external speakers. 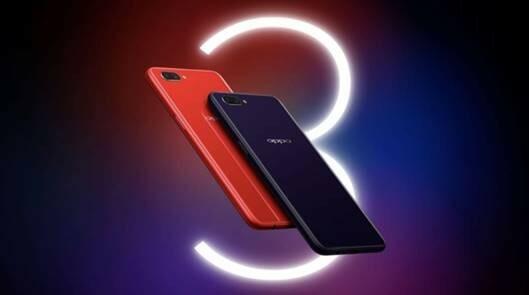 Finally, Oppo A3s comes in two colours, Red and Dark Purple. Both hues are different from what most OEMs offer in this price range, like the gold or black, and these new shades better appeal to the youth. "With A3s, we aim to offer consumers, especially youth, who are looking for an advanced camera phone that offers a strong battery life. 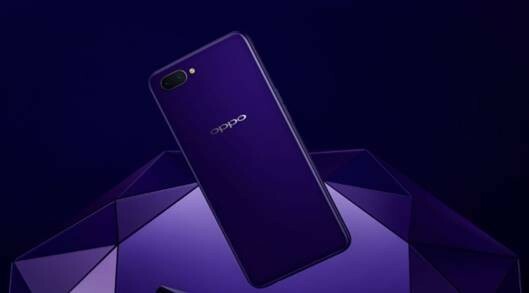 With advance features like dual camera, super full screen and extensive battery, this device has been designed to enable consumers to capture cherished moments all day long," Will Yang, Brand Director, OPPO India, said in a statement.